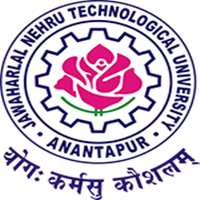 JNTUA Original Degree Application: JNTU Anantapur has announced 10th Convocation Notification, The qualified candidates can apply original degree (OD) through Online or Offline. Here we are provide the OD Application form and Online Apply Procedure. Click on link ‘APPLY ORIGINAL DEGREE’ in university website: www.jntua.ac.in. Please consider the environment before printing this original degree application. Online Original Degree applications are invited. I am 2018 passed out student. I have applied for my OD on Jan 31st 2019. But In that it was showing that Invalid Convocation Type. In payment method it was showing In/Pre-Convocation Applications for 10th Convocation remains closed till Convocation. What should I do now. Please give information about that. I entered month & year generated date in place of examination passed date. In portal have below link for wrong month & year, but it's not working. It's showing due money. If anyone knows the solution to change the month, please let me know. I am completed my B. Pharm on June 2008 in JNTUH. But my college RIPER anantapur is under JNTUA. How can i apply for my OD. I tried in JNTUA web site and there is no provision for 2008 batch. Please let me know. I don't have my PC now can I apply for my OD in February 2019. I have applied for od 06/12/2018 and i entered Wrong month instead of april i put june…. how can i change it? Plz reply if any one know the solution..
Hi Anil, i am also entered wrong month. If you know the solution, plz let me know. Hello! My OD was dispatched before 15 days but i haven't received it. Whom should I contact for this? i applied for od in 2015 still i didnot get my OD. do i need to pay again for OD or i have chalan is this sufficient ? I didn't get my od still now. I applied on 04.12.2017. I also applied for my OD and paid the amount too 2 weeks back…but the status still shows paid only…there is no status change after the payment. Evryone who haven't received the OD even after successful transaction, reply to this mail chain. I understand that there are many students who are still waiting for months together to get the OD. lets see how many are facing this issue and decide on how to take this up to JNTUA. My name is S.Gousebasha I completed my btech in 2018 and I got my PC and cmm frm jntua exam cell and I applied for od 18.12.18.in exam cell I paid od fee and gave application they said that you will receive od by post to your address.but I can't receive my od please send od sir.